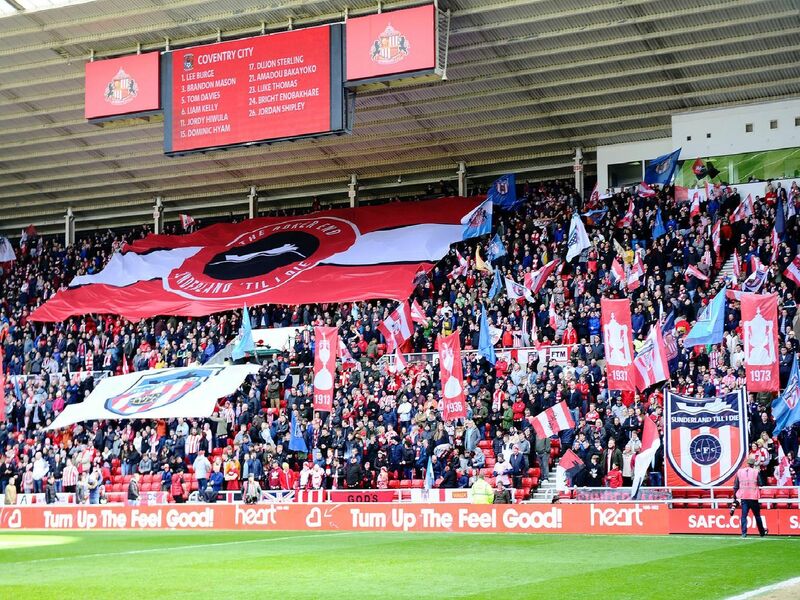 Sunderland fans unveiled their stunning new pre-match flag display at the Stadium of Light - and you can see them in all their glory in our picture gallery special. Paying tribute to famous successes, legendary players and kits of years gone by, as well as the city's industrial heritage, the display helped create a breathtaking atmosphere before the clash with Coventry City. The display was organised by the Red and White Army supporters' group, who raised a remarkable £10,000 from the Sunderland fanbase. The new flags were unveiled prior to kick-off at the Stadium of Light. Sunderland unfortunately went on to lose the game against Coventry 5-4. 4. Fan flags on display. Sunderland fans were encouraged to bring their own flags with them to.